After a campaign that saw him shatter records and bring his team to new heights, Alexey Shved of Khimki Moscow Region is the winner of the Alphonso Ford Top Scorer Trophy for the 2017-18 season. The Ford Trophy is awarded annually to the Turkish Airlines EuroLeague player with the highest scoring average over a minimum number of games. It is the EuroLeague's only end-of-season award that does not rely on voting by fans, media or coaches, but is based solely on statistics. To win the award, Shved averaged 21.76 points while starting in each of Khimki's 34 games this season. Shved made history by shattering the single-season record for points scored with 740, surpassing the previous mark of 609 set last season by Keith Langford of UNICS Kazan. He also established the longest streak of games this century with at least 16 points scored by doing so in 29 consecutive games to start the season. Additionally, Shved set EuroLeague records for three-pointers made (107) and attempted (324) in a season and points scored (36) and three-pointers made (8) in a playoff game. It took Shved four games at the start of the season to crack the 20-point mark, but once he did so, that became the norm. He went on to score at least 20 points in 20 of the next 23 games and averaged 24.7 during a 10-game stretch between Rounds 9 and 18. Shved was at his best in February, when he led Khimki to a 3-0 record and was named EuroLeague MVP for that month. 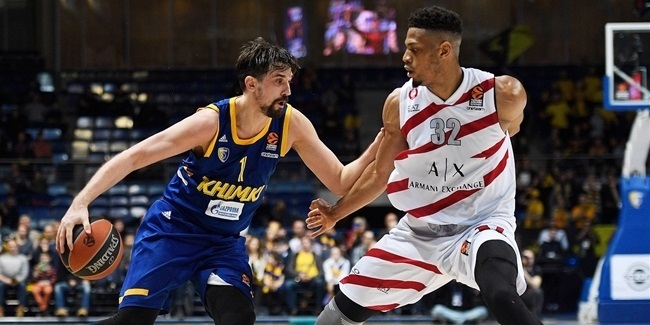 With Shved as the catalyst, Khimki finished the regular season in eighth place with a 16-14 record and qualified for the EuroLeague Playoffs for the first time. 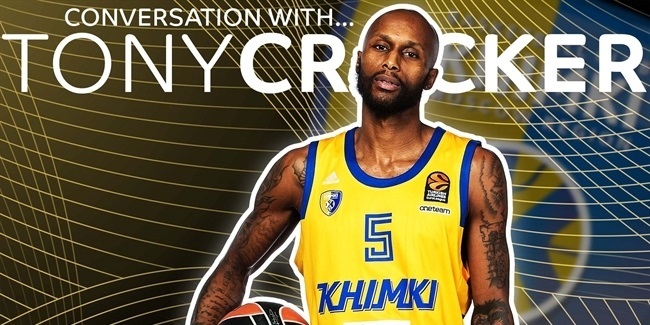 Shved took his game to another level in the best-of-five series, but despite his heroics in a brilliant Game 4, Khimki fell to crosstown rival CSKA Moscow in the closing seconds and lost the series 3-1. Nonetheless, he scored the second-most points ever in a playoff series (24.3 ppg.) and tied for the second-most threes in a playoff series (16). Behind Shved in the scoring race this season was Nando De Colo of CSKA Moscow, the 2016 Ford Trophy winner, who finished with 16.9 points per game, followed Nemanja Nedovic (16.8 ppg.) of Unicaja Malaga and Luka Doncic (16.1 ppg.) of Real Madrid. Shved first made a name for himself as a promising young talent with CSKA, where he played a reserve role for several seasons, often spending parts of seasons on loan in his late teens and early 20s. In fact, he was loaned out to Khimki as a 19-year-old in 2006-07. Shved was a member of CSKA's EuroLeague-winning squad in 2008 and he helped the team get to EuroLeague championship games in 2009 and 2012. He then crossed the ocean to play three seasons in the NBA with Minnesota, Philadelphia, Houston and New York. Shved returned home and joined Khimki in the summer of 2015 and has been the team's go-to guy ever since. Last season Shved had one of the most dominant individual seasons in 7DAYS EuroCup history and was named that competition's MVP for leading Khimki to the quarterfinals while averaging 22.1 points and 5.2 assists per game. Over the years, Shved has also been a member of the Russian national team and helped it win respective bronze medals at EuroBasket 2011 in Lithuania and the 2012 Olympic Games in London. Last summer he led Russia to the semifinals of EuroBasket 2017 in Istanbul, which he finished as the top scorer with 24.3 points per game. Shved is the 11th different player to win the Alphonso Ford Top Scorer Trophy in its 14-year existence and took it with the second-highest scoring average since Marc Salyers recorded 21.79 points per game in 14 appearances for Chorale Roanne of France in the 2007-08 campaign. In addition to multiple winners – Igor Rakocevic with Tau Ceramica in 2007 and 2009 and with Anadolu Efes Istanbul in 2011, and Keith Langford with Olimpia Milan in 2014 and UNICS Kazan in 2017 – the other eight Ford Trophy winners are: De Colo of CSKA Moscow (2016); Taylor Rochestie of Nizhny Novgorod (2015); Bobby Brown (2013) and Bo McCalebb (2012), both of Montepaschi Siena; Linas Kleiza of Olympiacos Piraeus (2010); Salyers of Roanne (2008); Drew Nicholas of Benetton Treviso (2006); and Charles Smith of Scavolini Pesaro (2005). Shved is both the first Russian-born player and the first Khimki player to win the award. The trophy is named in memory of the late Alphonso Ford, who died of leukemia in September 2004 after a brilliant career in which he was the competition's leading scorer twice, in 2000-01 and 2001-02, both seasons with Olympiacos. He subsequently led Siena in scoring as it reached the 2003 Final Four. 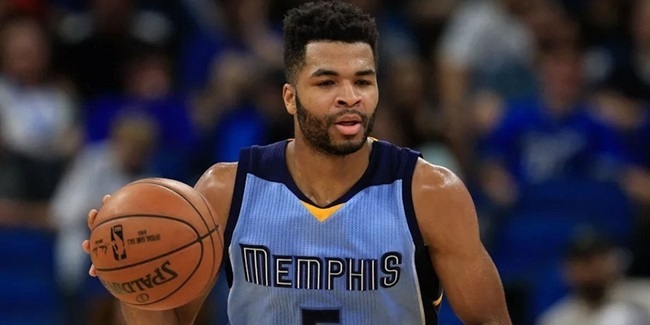 The Ford Trophy is the first in a series of EuroLeague end-of-season honors. Other awards to be announced shortly include the EuroLeague Best Defender, the EuroLeague Rising Star and the All-EuroLeague honorees. The MVP award will be announced at this season's Final Four in Belgrade. The Alexander Gomelskiy Coach of the Year Trophy and the EuroLeague Club Executive of the Year are post-season awards.